I selected four French boy names and threw them in a poll on the blog. You voted and Olivier was barely the winner with 14 votes, sneaking past front-runner Laurent in the 11th hour. So let's take a look at the French name Olivier as we kick off French-Week! 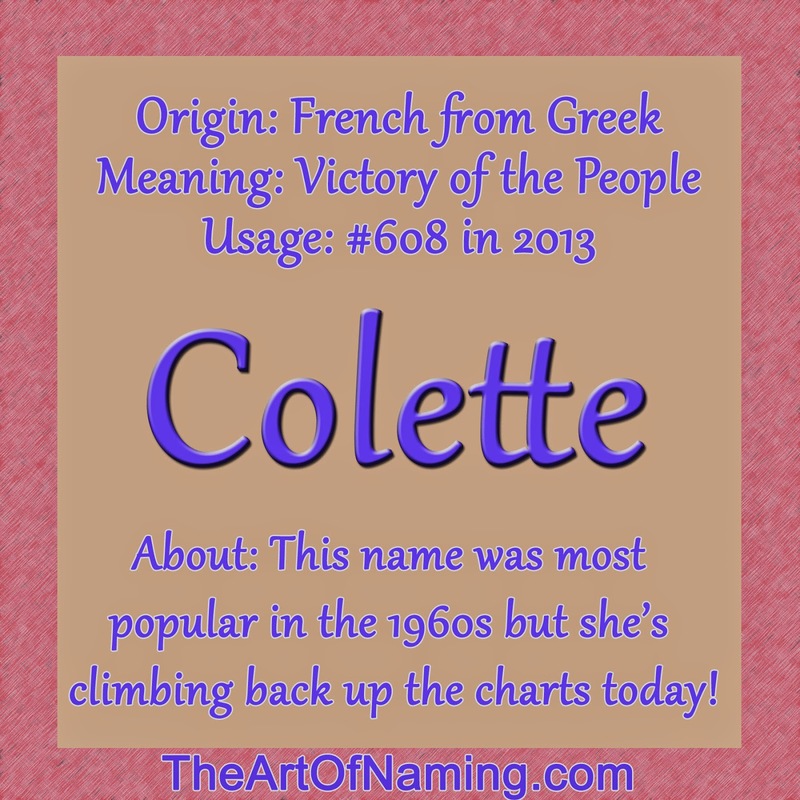 Stay tuned for our World-Wide Wednesday post about French naming customs too, and a girl name on Friday! Parents are in love with Oliver today. Nameberry describes it as "energetic and good-natured, stylish but not nearly as trendy as twin-sister Olivia, with a meaning symbolizing peace and fruitfulness." 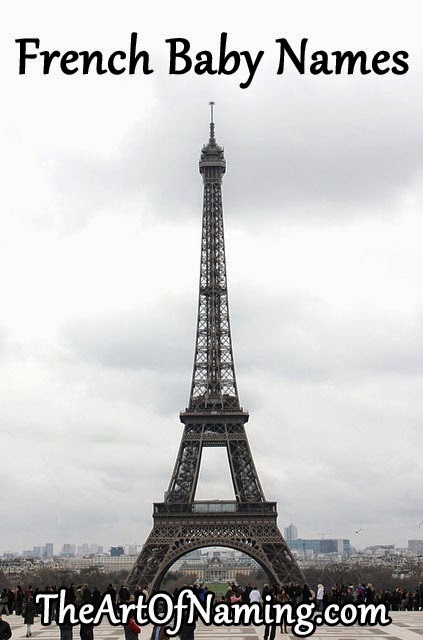 The French Olivier may have pronunciation problems in the US along with sister Olivie, however there are also other similar options such as the Spanish Olivero and the Italian Oliviero. Olive is also becoming a favorite for girls. With the following pronunciations, o-lee-VYAY (French), O-lee-veer (Dutch), Olivier isn't exactly rolling off American tongues the same way Oliver is. Both of these names may come from either the Germanic name Alfher or the Old Norse name Áleifr. They became more popularly influenced by the Latin oliva over time which means "olive tree". According to Behind the Name: "In the Middle Ages the name became well-known in Western Europe because of the French epic 'La Chanson de Roland', in which Olivier was a friend and advisor of the hero Roland. In England Oliver was a common medieval name, however it became rare after the 17th century because of the military commander Oliver Cromwell, who ruled the country following the civil war. The name was revived in the 19th century, perhaps in part due to the title character in Charles Dickens' novel 'Oliver Twist' (1838), which was about a poor orphan living on the streets of London." Both of these names clearly have some solid history behind them in Europe since medieval times, and if you take a look at Behind the Name, you'll see a long list of Oliver's popularity around the world! Oliver is ranked pretty high in several countries, but what about their popularity in the US today? 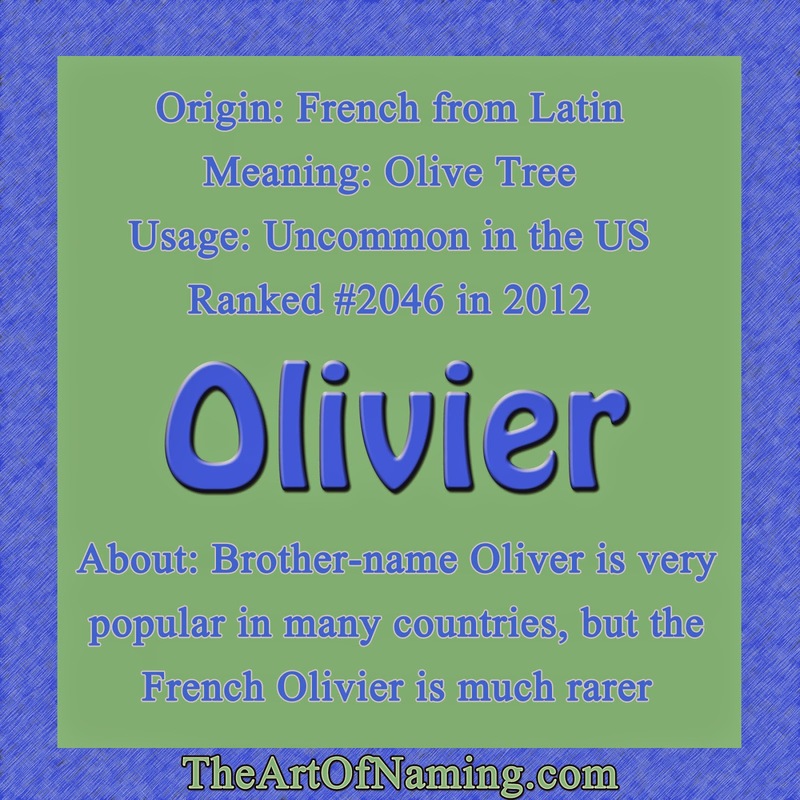 While Oliver is enjoying plenty of usage at #73 in 2012 in the US, the French spelling of Olivier is not very popular. Olivier ranked in at #2046 which means only 67 boys were given the name. It has only been in regular usage since the 1960s whereas Oliver dates back in the US to 1880 with a bit of a popularity boost around 1920. Olivier ranks #282 in England/Wales, #348 in France and #43 in the Netherlands. What do you think? 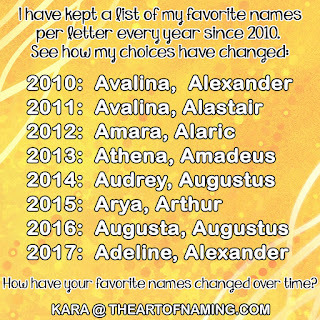 What sibling or middle name ideas would you add? 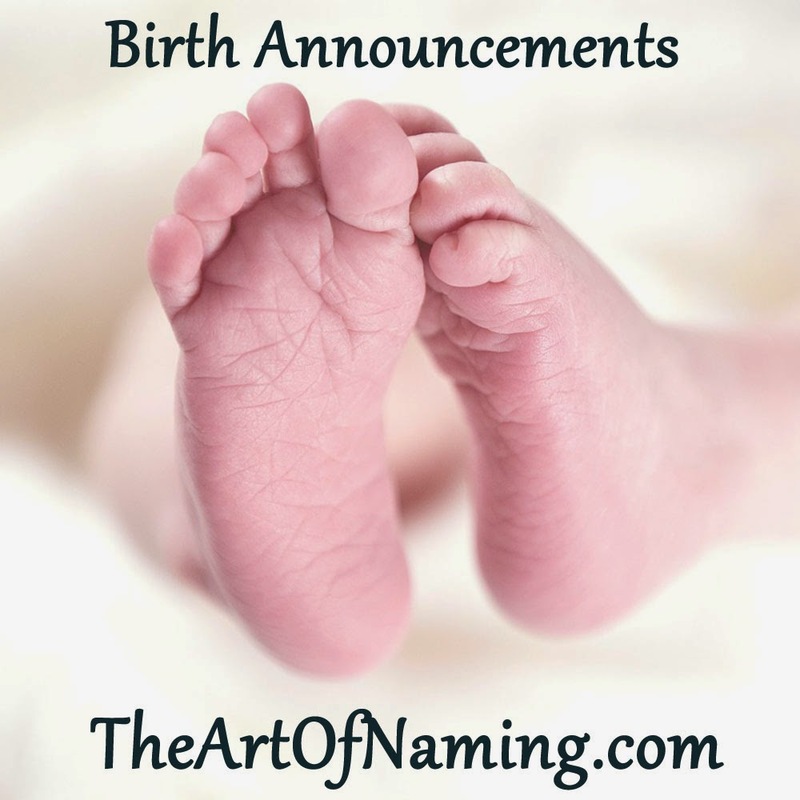 We see plenty of interesting and odd baby names being used today but it is not a new concept. People have always had strange names. I thought it would be fun to take a look in the past and see what kind of names were being given to the peers of our [great] great-grandparents. 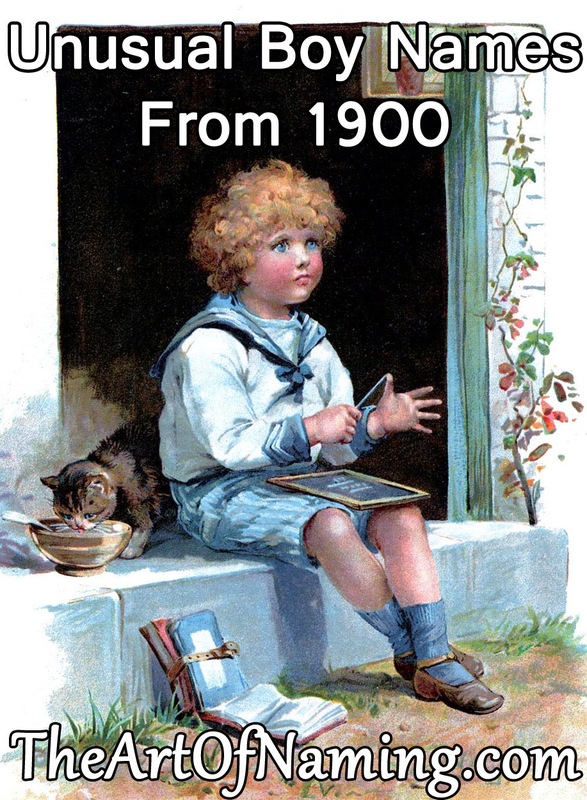 Way back in 1900, I found some interesting choices for baby boys. These were all listed on the US Top 1000 chart for boys 114 years ago. Do you think any are actually usable or are they too out there? What do you think of the list? Do you know of any odd names being given to boys today? This is the ultimate initial challenge! I do have to admit that I borrowed the idea from my friend over at nameddict. 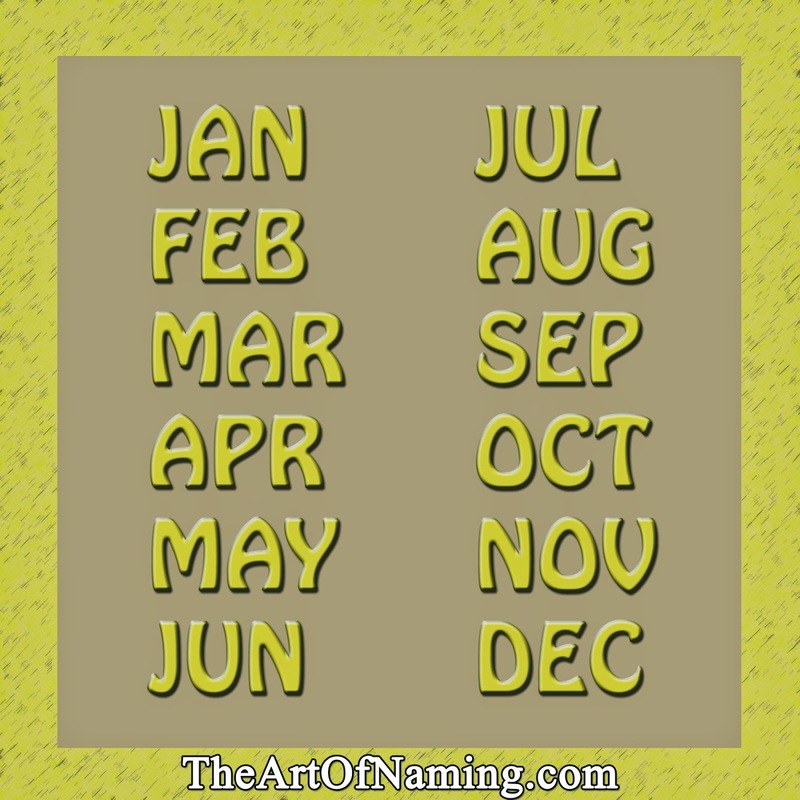 I came across it at the perfect time since I was just about to post Tuesday's blog about month names. I found this challenge to be a genius idea that I hadn't seen before, and it is fun! Imagine you have twelve babies to name and give it a try! Using the three-letter abbreviations for each month, come up with the perfect baby name using those letters as a first/middle/middle combo. There's a Y and 3 U's that will make it a bit tricky! I will post my names below. Feel free to share yours in the comment section or on Facebook! Johanna, Frederick, Marius, Amabel, Matilda, Julius, Josephine, Alistair, Sebastian, Octavia, Nadia & Dante. 6 girls and 6 boys! What names would you choose? 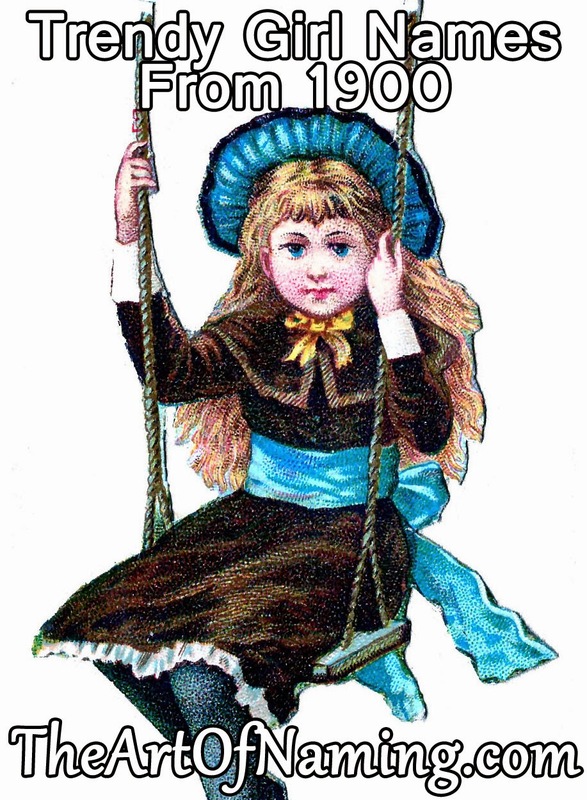 The lovely name June has been used for girls as a given name since the 19th century! Boys occasionally wear it too but not to the same extent as girls. 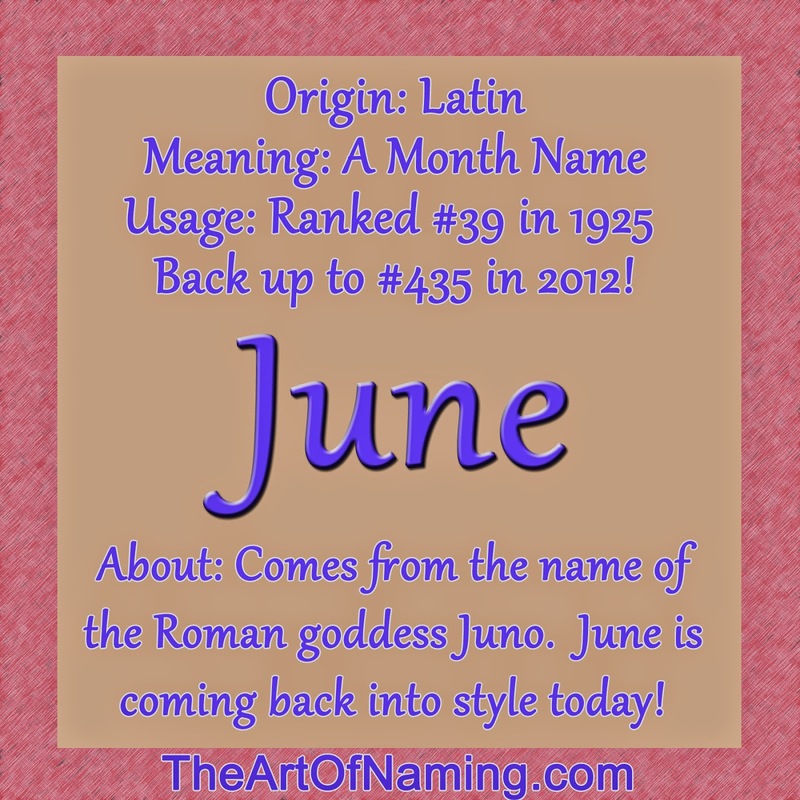 As a month name, June originally comes from the name of the Roman goddess Juno. Juno's true meaning is unknown but it is said to possibly be related to a root name meaning "youth". Juno was the wife of Jupiter in Roman mythology and considered the queen of the heavens. She protected marriage, women and childbirth. That is one of the reasons that many weddings traditionally took place in the month of June. This sweet name hasn't been very popular lately. 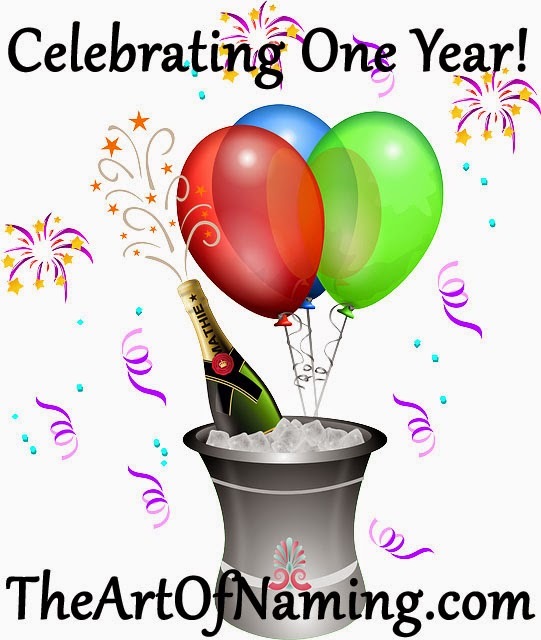 In fact, there was a twenty year dry-spell that ended in 2007 where June was not ranked within the Top 1000 names at all. Until recently, She's generally been considered an old-fashioned, grandma name because of her super-popularity that peaked in 1925. But as the 100 year rule goes, she's due to become a hot name once again and we're already seeing signs of her revival! Back in the day, June rose to fame very quickly! She was always used in some capacity but right around 1914, her popularity skyrocketed. 6,649 baby girls were named June in 1925 (#39), setting a record that hasn't been matched since. After that year, the name began a steady decline in usage. Right around the 1970s, June had fallen to the middle of the pack and began receiving less than 1000 births a year. In 2008, June jumped back in the game, ranking in at #869 with 320 baby girl births. Since then, June has continued to climb the charts, ranking in at #435 in 2012 with 710 births. Very soon we will find out where she stood in 2013 but I have a feeling she climbed a little bit higher once again. Click here to view the dramatic popularity charts!